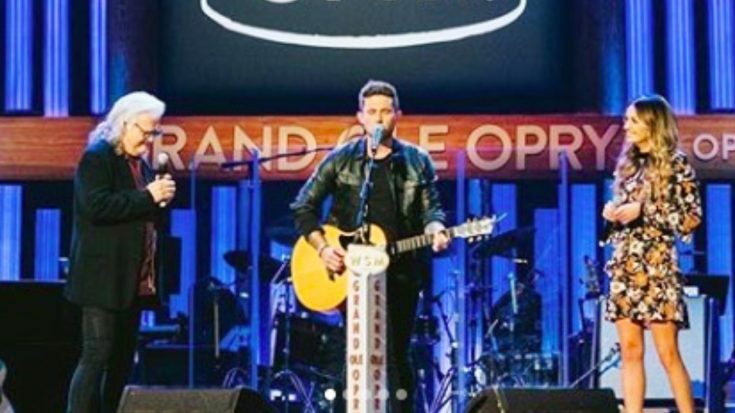 Written by Paul Overstreet and Don Schlitz, “When You Say Nothing At All” has been performed by everyone from Alison Krauss to American Idol champion Maddie Poppe and her boyfriend, Caleb Lee Hutchinson. But the most well-known rendition is the original, recorded by the late Keith Whitley. Whitley’s rendition was a number one hit in both the U.S. and Canada, making it one of the best songs of his career. Next to his version, the most well-known is probably Krauss’, which was released seven years later. Although Krauss’ recording did not top the charts, it came close. It climbed as high as the third spot on the Hot Country Songs chart in the U.S. and the seventh spot on the Canada Country Tracks chart. Sadly, Whitley passed away before Krauss recorded her rendition. Because of this, the two never got the chance to perform the song together. But thanks to the power of technology, one radio production director named Mike Cromwell was able to blend Whitley and Krauss’ separate recordings to form a virtual duet. The result was too beautiful for words. Other artists have since offered their own takes on the duet rendition of the song. Earlier, we mentioned Idol winner and runner-up Poppe and Hutchinson, who have become famous for performing it as a duet. It gives the song an even greater sense of romance to hear a real-life couple sing it to one another. There is also another young country couple that has recently adopted the song into their catalogs. For months now, Carly Pearce and Michael Ray have been making country fans’ hearts melt with their adorable displays of affection on social media. Every now and then, they two get the chance to showcase their love on stage, like they did while singing “Jackson” during an Opry show in August. But the two weren’t alone. Their performance was made all the more magical when they were joined by recent Country Music Hall of Fame inductee, Ricky Skaggs. Now hearing a trio sing “When You Say Nothing At All” is definitely a new take on the song. And a gorgeous one at that! Witness just how well these three talented artists’ voices sound together when you watch their collaboration below. This is what country music is all about y’all. Not ONLY did @carlypearce join @Michaelraymusic to sing at the Ryman tonight, but so did @RickySkaggs! This is AMAZING!